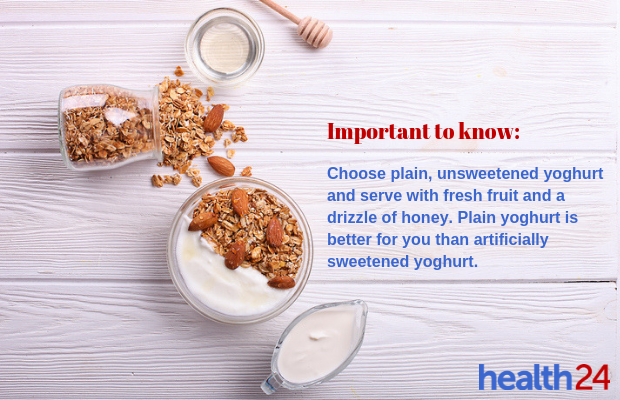 Yoghurt is a versatile, affordable food that should be included in a balanced diet. We know that it contains calcium, which is important for optimum bone growth, but this is only one of a number of beneficial ingredients. Experts around the world have been researching the health benefits of this food for many years. “Yoghurt can play a large role in the prevention of cardiometabolic disease and the overall maintenance of gut health,” says Dr Andre Marette, Professor of Medicine at the Heart and Lung Institute at the Laval Hospital and Scientific Director of the Institute of Nutrition and Functional Foods at the Laval University in Canada. He visited South Africa recently to speak at the Second Yogurt Summit at the Nutrition Congress 2018. Based on his extensive research, we decided to investigate some of the many reasons why yoghurt needs to be included in a healthy diet. What is the deal with yoghurt? According to Dr Marette, one of the reasons why yoghurt is such a superfood is the fermentation process it undergoes. “People don’t realise the importance of fermentation because it allows bioactives to be more abundantly present in your gut. Yoghurt has more additional benefits than milk because of the presence of probiotics, but also because of the bioactive lipids that come from when lactate is raised through the fermentation process. The most recent research suggests that these molecules have additional benefit compared to any other non-fermented dairy. “There also seems to be a rise in evidence that yoghurt can help prevent chronic disease,” he says. But what about lactose intolerance? Dr Marette points out that in many cases yoghurt is a great alternative for those who have trouble digesting milk. 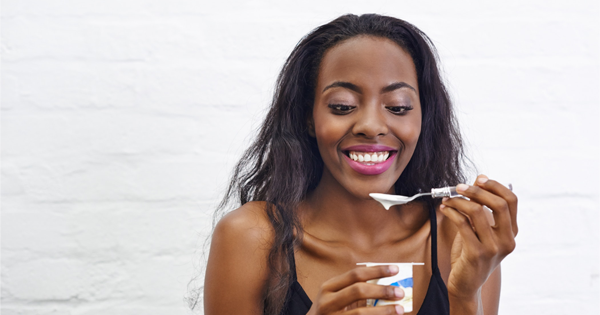 “Of course it would be false to say that yoghurt contains no lactose at all, but if your lactose intolerance is not severe, you might be able to stomach yoghurt. If not, the lactose-free option is the best for those who are really intolerant. Greek yoghurt is often better tolerated by those who are lactose intolerant because of lower levels of lactose compared to other kinds. Your reaction will, however, depend on your level of intolerance. Dr Marette and his colleagues have been doing research on cardiometabolic diseases and obesity for 25 years, but it’s only in the past five years that the importance of our biggest “organ”, the gut, has increasingly become the focus. “We tend to forget that the gut is the first organ that actually metabolises the food we eat – it’s the first port of call in the metabolic process. There are several reasons why gut health can dictate your overall wellbeing, but the most important is that if you have a healthy gut, the bacteria will remain in the gut. If you have an unhealthy gut, these bacteria will cross the intestinal barrier and ‘leak’ into the bloodstream. These bacteria, depending on whether they are good or bad, will of course have an impact on the rest of your organs. Yoghurt protects against heart disease, as recent studies have shown that dairy products are actually mildly beneficial to the heart, causing a 6% reduction in cardiovascular disease, according to Dr Arne Astrup of the Department of Nutrition, Exercise and Sports at the University of Copenhagen, Denmark. The “good bacteria” boost the immune system tremendously and reduce the risk of allergies, according to Professor Lorenzo Morelli from the Microbiology Institute at the Università Cattolica del Sacro Cuore in Italy. The nutrients go far beyond calcium and probiotics. In fact, yoghurt is also a rich source of protein, magnesium and in some countries, vitamin D.
Dr Marette remarks that it’s important to choose the right yoghurt.